Guernsey has a "reasonable" chance of hosting next year's World Cricket League Division Five tournament. The chief executive of the Guernsey Cricket Board, Mark Latter, says the island has formally put in a bid to host the event next summer. "If all the numbers add up it's a reasonably good bet that we could get it," Latter told BBC South West Sport. 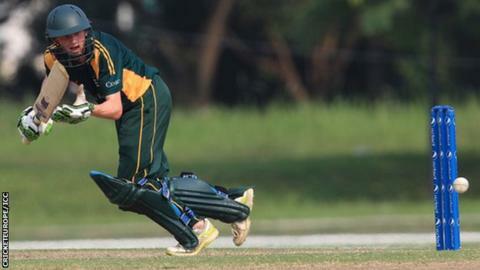 Guernsey last hosted a world tournament in 2009 when they were promoted from World Cricket League Division Seven. Cayman Islands has never hosted an event but has just two cricket pitches, while Guernsey has a good track record of hosting major events. The island has also played host to the 2008 and 2010 European Division Two tournaments and with Jersey. Every World Cricket League tournament is hosted by one of the teams that are playing in it and Latter feels Guernsey is the best placed nation. "We're one in four and we'd be disappointed if we failed," he said. "In terms of the island economy there's a serious amount of money spent in terms of airlines, hotels, shops and restaurants. "We've had to confirm to the ICC details of our facilities, potential costs, contingencies, training facilities and security. and an element of budget along side that. "But it's a big event and I'm sure all the other players would want to host it as well."